Nearly everyone loves pizza. We all love pizza in this house, including our regular family pizza nights. To be fair what’s not to love? Especially now you can get gluten free, dairy free and healthier options too. So National Pizza Day on February 9th is one national day we are happy to celebrate. 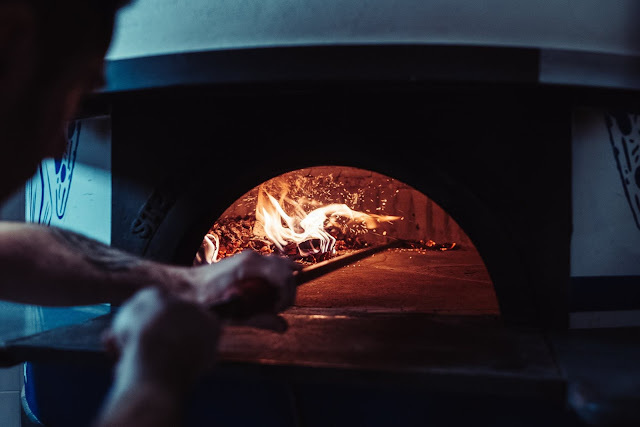 Where we live in Newcastle and in the surrounding towns, cities and villages we are lucky to have a wealth of pizza restaurants from small independent operators, pubs with dedicated pizza ovens to national and international chains, to choose from. There is certainly a pizza restaurant for everyone. From the humble beginning to today’s gourmet offerings, pizza has captured the heart and stomachs of people around the globe. Pizza started out as a simple flatbread spread with sauce and sprinkled with cheese in the 10th century in Naples, Italy, then coming to prominence in the 16th century. America caught on to the pizza trend after Italian immigrants brought it over to the US during the 19th century. Pizza has continued to evolve over the years with different regions in Europe and beyond inventing their own distinct version of the humble flatbread recipe. 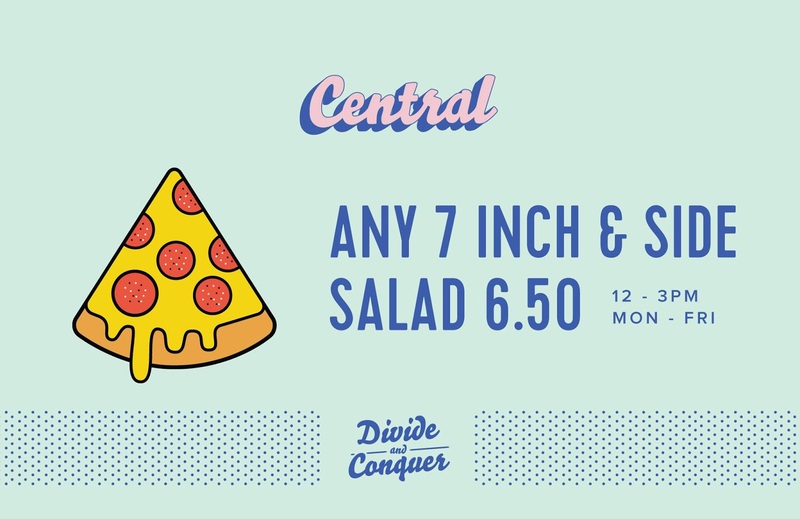 Now in the UK, nearly two-thirds of us eat pizza at least once a month, nearly half the UK eats pizza once a week and together we spend nearly £3b on pizza every year. National Pizza Day, on February 9 celebrates everything good about pizza. 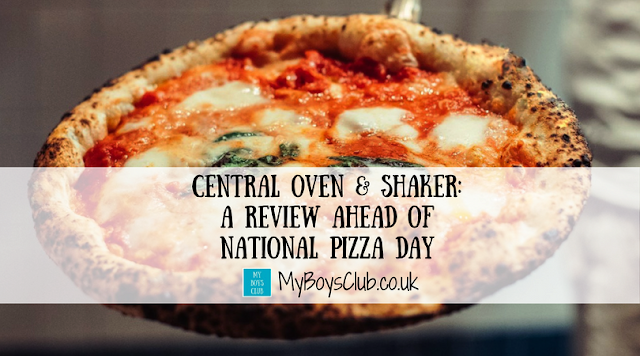 So ahead of Thursday here is our lunch review of one of Newcastle’s newest pizza restaurants – Central Oven and Shaker. 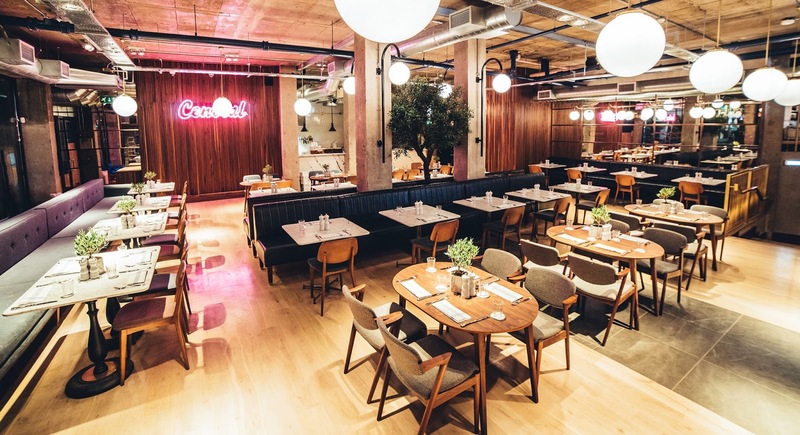 Central Oven & Shaker opened at the end of 2016 in the location formerly known as The Lounge, opposite Newcastle’s Central Station. Ladhar Group's leisure division, Crafted Projects, created the new venue, which serves food from breakfast time to the early hours. Inspired by the pizzerias of Napoli, it aims to combine this authentic cooking style with the very best local produce. The group also own the popular Hop & Cleaver, Red House, The Globe, Lady Grey’s and Pleased to Meet You – so it has a lot to live up to! Wanting to try somewhere new I headed there for a business lunch with two colleagues. Looking for somewhere informal, with excellent service allowing us to get back to work after our meeting, and tasty food - we weren’t disappointed. All three of us opted for the lunch-time special where you can choose any 7-inch Neapolitan pizza & a side salad at a price of just £6.50. This is available 12 noon to 3 pm Monday to Friday. Accompanied by a salad choice of Rocket & Hazelnut or Mixed Leaf. 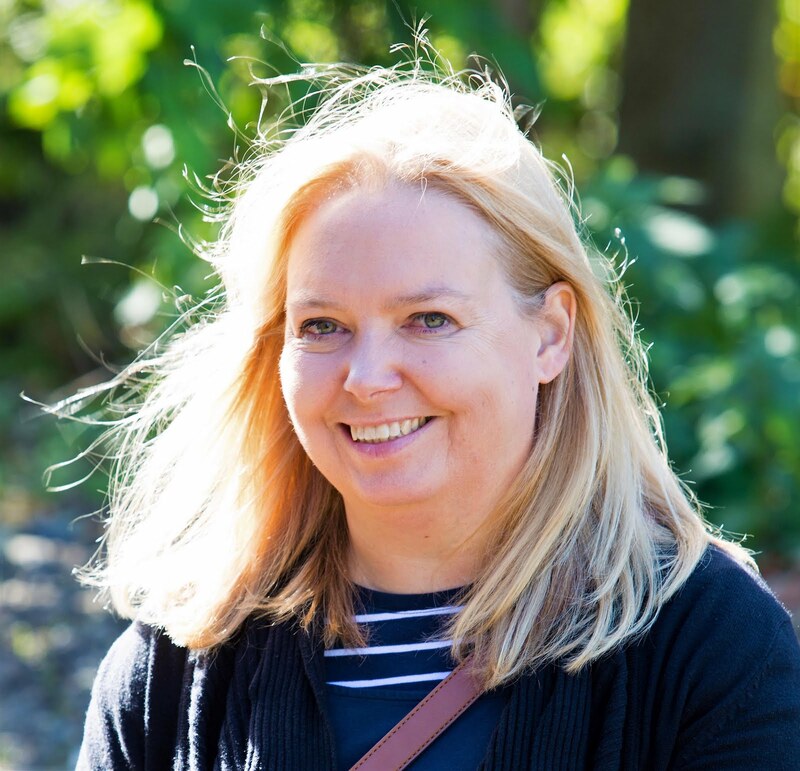 I chose the Four Shroom pizza, whilst my companions went for the Roast Veg and the Chicken Pesto, and between us, we also shared a dish of Sweet Potato Fries (£3.25). For a lunchtime meal, the size of pizza was perfect. The salad not only crisp and delicious but also makes you feel a little bit better about having pizza for lunch. The fries were lovely but to be honest we probably didn’t need them but are worth tasting. As it was only lunchtime we didn’t try the desserts but next time we could be tempted, However, we did finish our meal with a Latte and a White Chocolate, Hot Chocolate (without Indulgence) – which was described to me as ‘like drinking a melted Milky Bar’. Sadly on this occasion, we did not sample the cocktails wanting to keep a clear head for an afternoon of work. But I do know which one I'm picking next time I go – just hoping the Coconut Expresso Martini will still be on the menu. From start to finish the service was spot on. There was plenty of space but staff were attentive none the less. The complimentary jug of infused water on the table was appreciated and the friendly nature of the staff made a great first impression on us all. All in all Central Oven and Shaker great location for an informal lunch meeting and one I'd love to go back and visit again for lunch or on an evening or weekend. What will you be eating on National Pizza Day? I need to visit this place! It looks unreal!